LogiLink PC0064 PCI-E x1 SATA RAID-controller kopen? | That's IT! 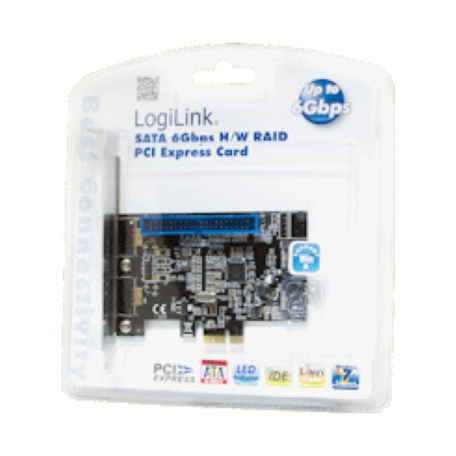 The LogiLink PCI Express interface card supports the Serial ATA-3 standard and allows the connection of two SATA-3 devices, and one ATA device. The SATA-3 standard is backward compatible with SATA-2 (3 Gbps) and SATA-1 (1.5 Gbps). With transfer rates of up to 6Gbps (SATA-3) the SATA 3 standard is ideal for devices such as SSDs.